Q: How much money can I contribute to my IRA in one year, and how do I contribute? A: The maximum allowed for 2016 and 2017 is $5,500 for each year and an additional $1,000 is allowed for persons who are age 50 or older. The amount of your earned income could lower this amount. As an example, if you only have $2,000 in earned income, you can only contribute a maximum of $2,000. Contributions to an IRA you establish must be in the form of cash. Q: Is military retirement pay considered taxable income for IRA contributions? A: Pension income or retirement income is not considered earned income. Q: Can I contribute to both a Traditional IRA and Roth IRA in the same calendar year? A: Yes, you can contribute to both a Traditional IRA and a Roth IRA in the same year, however, the combined total of your contributions to both cannot exceed the annual limit of $5,500 for a person under the age of 50. Contributions cannot exceed $6,500 for a person age 50 and older. Q: If you open a Roth IRA after age 60, do you still need to hold the account for 5 years before drawing any money out? A: Yes, you would still need to have a Roth IRA for 5 years in order for the earnings to be distributed tax-free. 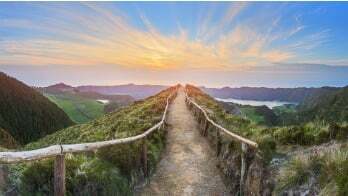 Q: Can I contribute to a Roth IRA if I have a 401(k) and the 401(k) contributions drop my adjusted gross income (AGI) below the income maximum? A: Yes, contributing to a 401(k) lowers your AGI and increases your chance to contribute to a Roth IRA. You can contribute to a Roth IRA even though you are also contributing to your 401(k) plan. Q: If a client loans money from a self-directed IRA to an LLC, how does the LLC repay the loan and interest? Should a client open their own LLC first to have access to a "Checkbook Controlled IRA?" A: It is not allowed for your IRA to give a loan to an LLC you own. However, IRAs can be used to fund LLCs. Q: How can a self-directed IRA that holds property for appreciation yield better tax results than holding property outside of the IRA? A: It does not, however, if the property is sold inside an IRA the capital gains is tax-deferred until the proceeds are distributed. If the property was purchased with a Roth IRA, the gains distributed would potentially be tax-free. Q: Can I contribute $6,500 for my Traditional IRA plus $3,350 for my Health Savings Account (HSA), with the total being $9,850 deducted from my taxable income? A: $6,500 is the maximum IRA contribution for an individual who is age 50. If it is a Traditional IRA and you are eligible for a deduction, the contribution is deductible in your tax return. For an HSA, $3,350 is the maximum contribution for someone who is under age of 55. If you are 55 or older, the maximum contribution for a single high deductible health plan (HDHP) covered person is $4,350. HSA contributions are a straight line deduction on your personal tax return. Q: Does Entrust have a way for us to partner with other IRA holders who do self-directed IRAs? A: Entrust is just an IRA administrator and does not connect its clients via networking. Q: Are there fees for payments of expenses of a property held in an IRA? A: Property expenses held under an IRA must be paid using IRA assets. 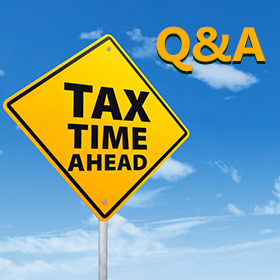 We encourage our readers to post any additional questions regarding tax time and your IRAs in the comments section below so other readers may benefit from the answers. In addition, you can view the full recording to this webinar here to get answers to questions which are not listed in this article.